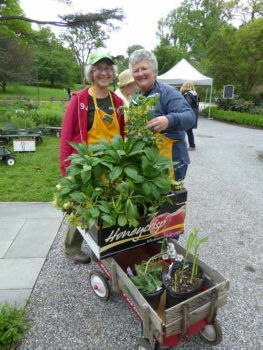 The 24th annual Members Plant Exchange & Sale is where members of the Scott Associates come together to donate and exchange plants from their own gardens. For every three plants a member donates, a plant of their choosing is received in exchange. During the sale portion of the event, members can buy most plants for only a dollar. Over 3,000 plants exchange hands at this annual event, which allows gardeners to increase their plant collections for a fraction of the potential cost, and divide their own overgrown plantings.